Ok first of all I would like to thank my blogger friend Yamini for this award and I will like to award my other friends. Ok,this took place when I was in class 7th.Our teacher was discussing some thing about properties of a magnet and I was busy sleeping at the last bench.We were last benchers.And of sudden,I heard a voice "Stephenn, roll num 26 tell me about magnetic poles," .I was just 12 then and what could you expect from a 12 year old .First of all she asked me something that was greek and french to me at that stage and secondly she asked me something when I was asleep.I just stared at her and gave a smile.In reply she slapped me and asked me to get out of the class.This was the 2nd time when I seriously felt embarressed. This is similar to what happened at 2nd point.I was in class 12 , and a long night of study forced me to sleep in the lecture.The sir soon got a glance of me and asked me to explain "Entropy" of Thermodynamics. Yes, I did explained him some thing ,but it seemed like he was wanting more information from me.Gosh!!! I shut my mouth .He then gave his bashans and asked me to wash my face.I was really pissed off and wanted to get out of his class as soon as I could. Hey,there is a striking similarity between the 2nd,3rd and this scenario.I was again sleeping but in engineering lecture.He asked me all about ERD and I was standing with my half eyes open.I could hear the same lectures and same result and I enjoyed the rest of the 40 minutes in the project lab surfing internet. But ,I feel bad that I could not talk anything to her...may be because of my busy schedule with studies or something that disturbed me. We all were leaving for home.There were a group of naughty brats who loved playing pranks on others.I was just passing by the corridors and some one pushed me over a girl.During this event,my hands unfortunately touched her body parts .huh!! may be you guessed it right :p .I never had any plan of getting beaten up by a girl.I was expecting a tight slap from her.It didn't happened as she was one of my buddy.I gave a stupid smile and I left ,later on I realized how stupid I was.I could not even apologise. idiot me ,ehh!! 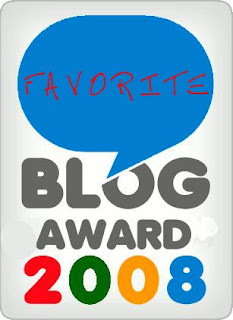 My blog has been selected as the best blog for the year 2008 by Orkut Blogger V2.0 community. Thanks a lot Adi,the lover and all those who voted for my blog . Finally I'm the first one to leave a comment !! Thank you so much for the award.!! 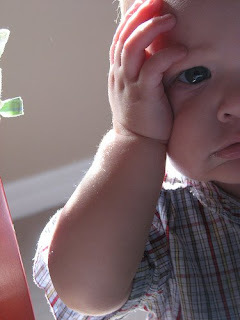 Nice post...Even I've been embarassed 2-3 times.Will try to post it on my blog too! Hey.. First of all thanks ste for my very first award.. You really made my day! Reading this post was a total fun.. Specially i found out that one of my friends is not the only one who slept in college n school during lectures..now its u too. So i think theres nothing embarassing in dat. U know what we hav made an inference dat people sleepin during lectures are intelligent coz all from our class who slept were very intelligent. so 4 me u come in the intelligent group. Secondly.. I think the 26 year pretty girl incident must be quite embarassing.. Dont do it the next time.. Specially when you know the girl wants to talk to u. .all in all.. A gr8 post.. Cheers! 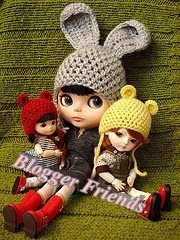 congrats for being voted as the best blogger.. wow..
thank you for the awards...i will reaccept it...!!! i was embarassed lot many times..i try better not to remember them..!!! congratulations for the recognition and i know you deserve it..!!! collision with dimple was the highlight!!! good heavens u were not trashed..!! Hey.. ste... I have something for you on my blog... Check it out...!!! Warm felicitations on the award... How are/were your exams? Yep, me back from a "forced" hiatus. ur blog totally deserves to be voted the best....congrats...!!! But i definitely had loads of fun imagining you in all those situations. But i have gone through most such situations, though not bcoz of sleeping. . . Just bcoz of gawking at one girl too many! Hey congratz for the fav blog award '08...and thanks for the award!!! Well got some similar ones.....i too sleep a lot in class...but my friends always save me by telling answers to the teachers random questions!! Woo..you're on big "sleeper" :P..eh? Can't imagine how someone can manage it..